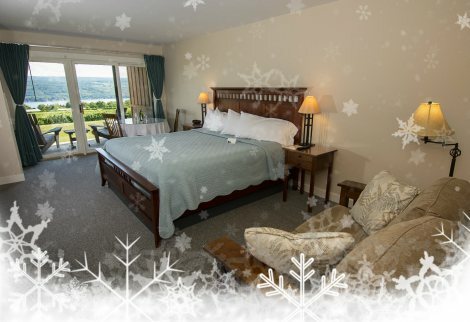 Celebrate the holidays & New Year’s Eve in style! The Corning Museum of Glass is a truly breathtaking experience – any time of year. But in the winter, it really sparkles. 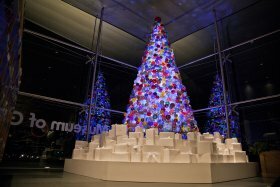 The museum’s glass Christmas tree, made of 2,000 handmade glass ornaments was recently highlighted by the Smithsonian Magazine. Read all about it here. But we highly suggest you come and check it our for yourself. Now through January 3, you can celebrate the sparkle of the season with an abundance of holiday-related activities and offerings. will have live entertainment by Virgil Cain, your chance to win $100 worth of “frosty cash” scratch-off tickets and $100 cash every 30 minutes from 6-10pm, PLUS a $2,016 cash drawing. For details, click here or call 1-888-946-8464. Glenora Wine Cellars is planning a slew of celebratory activities including champagne at check-in, light appetizers and cocktails, dinner and light jazz, open bar, a live DJ, and a champagne toast and ball drop at midnight, plus a breakfast buffet on New Year’s Day. For details, click here or call 1-800-243-5513.
is hosting a Mardi Gras themed event complete with a cocktail reception, exquisite dinner stations, open bar, live music and dancing, a champagne toast at midnight, and a New Year’s Day breakfast buffet. For details, click here or call 1-607-535-6116. After the holidays are over and the new year starts, many of us fall into a cabin fever mindset. By February, we’re itching to get out and about! 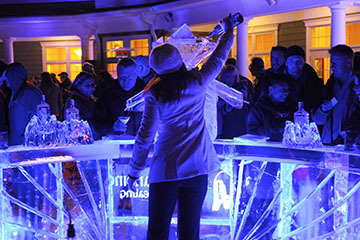 The ICE BAR (taking place February 4-6) has quickly become one of the most popular wintertime events in our region! Saturday night tickets sold out within 12 hours of being released. Friday night tickets sold out shortly thereafter… but there are still tickets left for Thursday, February 4! The event runs from 5-9pm with wine and craft beer samples, fantastic finger foods, and of course, carved ice sculptures, martini luges, great music, and so much more! This monthly event series takes place on (mostly) the first Friday of every month. We say mostly because the first two events of 2016 will take place on the second Friday: January 8 and February 12. Every other event will be the first Friday of the month. Enjoy wine and craft beer/spirits tastings, as well as sampling local foods from 5-8pm. Purchase a tasting glass for $10 and head out sampling, savoring, and shopping. For details, click here. 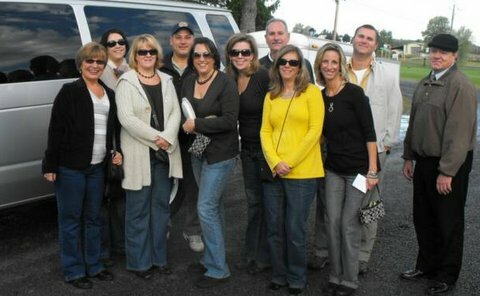 Enjoy a self-guided tour around beautiful Seneca Lake, sampling delicious pasta themed dishes paired with wine at 33 participating wineries. Pick up your gift item at your chosen starting winery then start sampling pasta dishes paired with delicious award-winning wines. Regular tickets purchased in advance are $40 per person. For details, click here.